Our instructor-led Navigate: Fundamentals course completed in Spring 2016 with rave reviews. This pilot Navigate: Fundamentals course was offered to newer U-M research administrators with less than 12 months of experience. The pilot cohort participants included research administrators from colleges, schools, and units on campus (picture below). Mindy Alguire, Nicholas Adams, Arijit K Bhaumik, Kathryn J Bothuel, Tawny Dekar, Hanan Flood, Jennifer L Freeman, Cynthia Gallaway, Crystal M Griffin, Krista L Golden, Fei Gong, Bailey Green, Maryann Hansen, Tamara L Harpe, Tina Lucas, Veronica Rujia Li, Bryon E Maxey, Kristin N Parrish, Melissa Rider, Rebecca Rennells, Maria Dolors Sans Gili, Catherine Robinson, Tabitha L Rohn, Mary Stewart, David Wilkie. 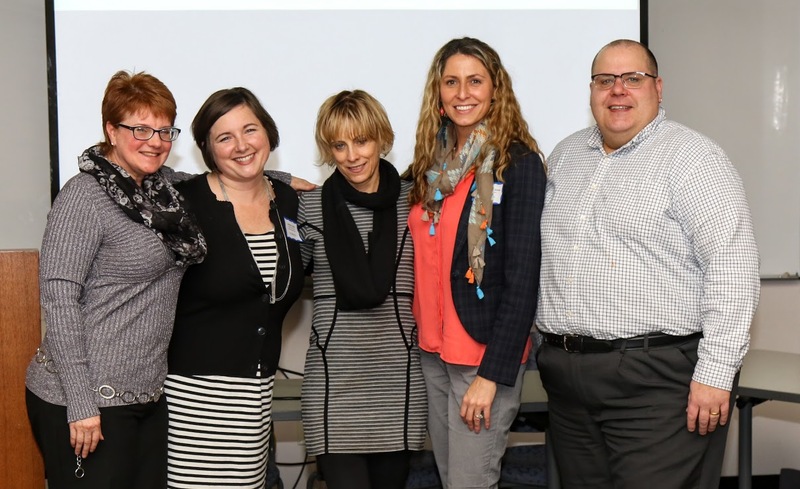 The course designers consulted with design teams of research administrators and central office professionals to gather input and expertise. In addition to traditional lectures and presentations, the training included professional scenarios and problems for newcomers to solve. It also introduced newcomers to research administration leaders from around campus and exposed them to both the business challenges and successful outcomes required for a successfully managed research project. Will the materials from this course be available online for others (non-course participants) to access? Job aids and tools that don’t require training or interaction, will be made available on the ORSP website, under the "Navigate" portal page. However, the course has been designed for intense in-person interaction and much of the content will be experienced in-person. What is the Navigate portal? The Navigate portal is the new central destination for training and professional development for research administrators (RAs), navigating research administration at the University of Michigan. The Office of Research and Sponsored Projects and Finance - Sponsored Programs have partnered to improve the professional development resources available to RAs. A number of initiatives will come under this new program, including training, mentoring, and other resources. What is the Navigate: Fundamentals course? This newly designed instructor-led was expertly developed for RAs with newcomers to research administration (zero to about two years of experience). This course is not a replacement for the former Research Administrators Instructional Network (RAIN) course. The "Navigate: Fundamentals" course was developed for a different audience and is meant to provide fundamental training for those who need it most, at the beginning of their research administration careers. Research administrators work with difficult business, compliance, and financial challenges, and often undertake them with little or no experience. Providing training for research administrators during their first months in their career is integral to reducing faculty and administrative burden. Who should I contact if I have additional questions about Navigate program or the Navigate: Fundamentals course? For additional questions contact navigate-research@umich.edu. When will the Navigate: Fundamentals course be offered again? We anticipate offering the Fundamentals course twice per year - once in the fall, and once in the winter/spring. Learn more about current offerings on the Navigate: Fundamentals course page. View the outline for Navigate: Fundamentals course. A list of Program Development Contributors. For questions on Navigate and other training initiatives, please contact RAtraining-ProjectTeam@umich.edu. 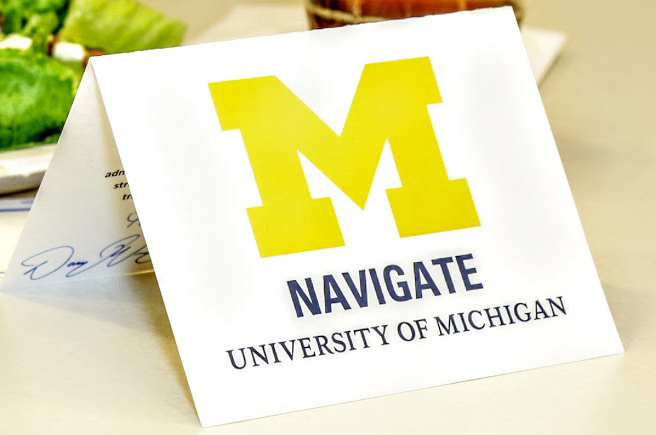 The Navigate: Fundamentals course will be made available again in 2017 for up to 30 U-M research administrators with zero to about two years of working experience. The course will consist of seven full-day instructor-led sessions. Supervisory approval and application acceptance is required. Both the Applicant and Supervisor Statement-of-Support Forms are needed for acceptance!